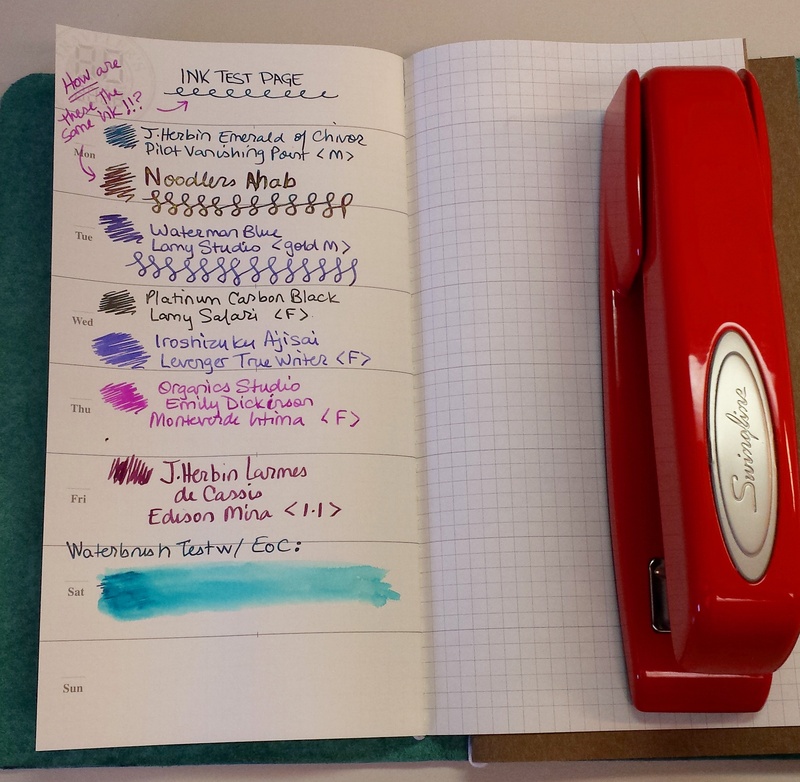 I’ve been reviewing the Midori refills I’ve ordered for my new Jot Fauxdori as they arrive. 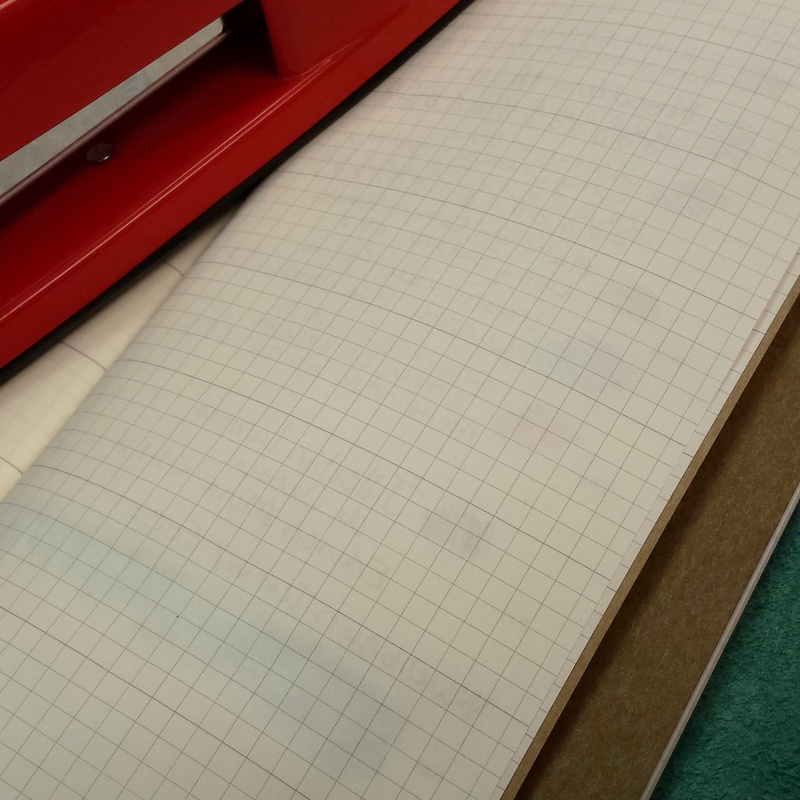 Last time was the #002 Grid Paper refill. 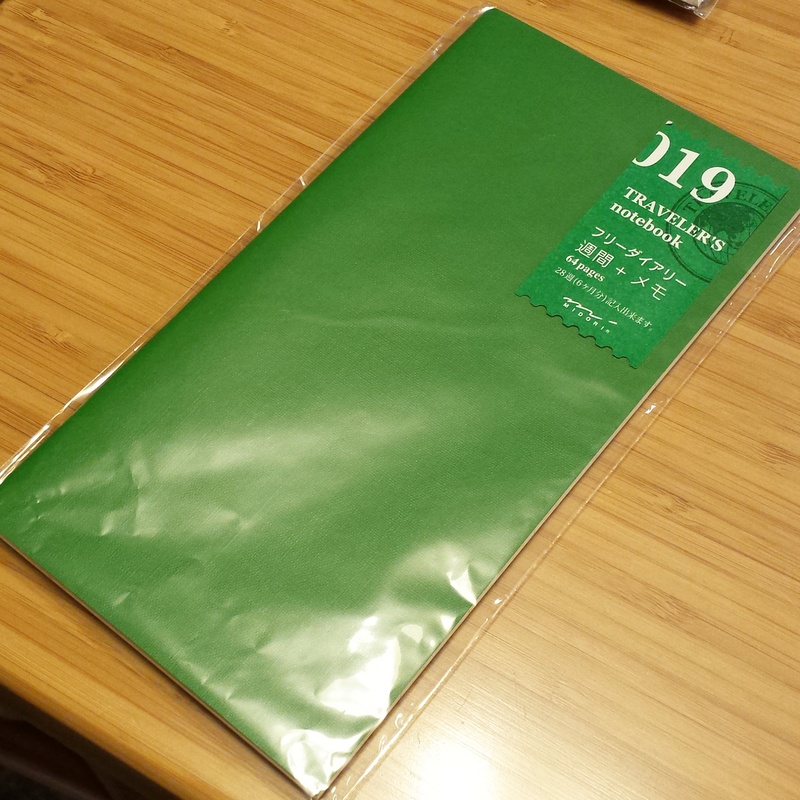 I decided I needed a weekly agenda or planner refill too, to really evaluate the full Midori system, and settled on #019, Weekly Planner + Grid (see at Goulet and JetPens). 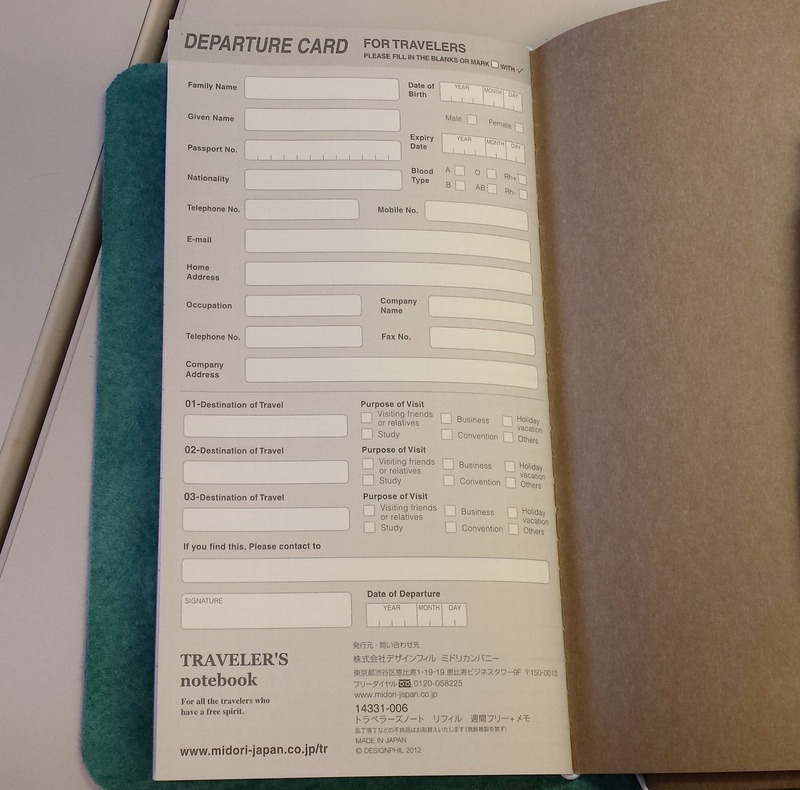 This notebook is regular/standard Midori size (about 8.25″ x 4.33″), and is 32 sheets (64 pages) of ivory paper with a stitched binding. First thoughts – the quirky end page. Is it meant to really be used? Or just a fun ‘hey-let’s-go-travel-wooo’ kind of thing? 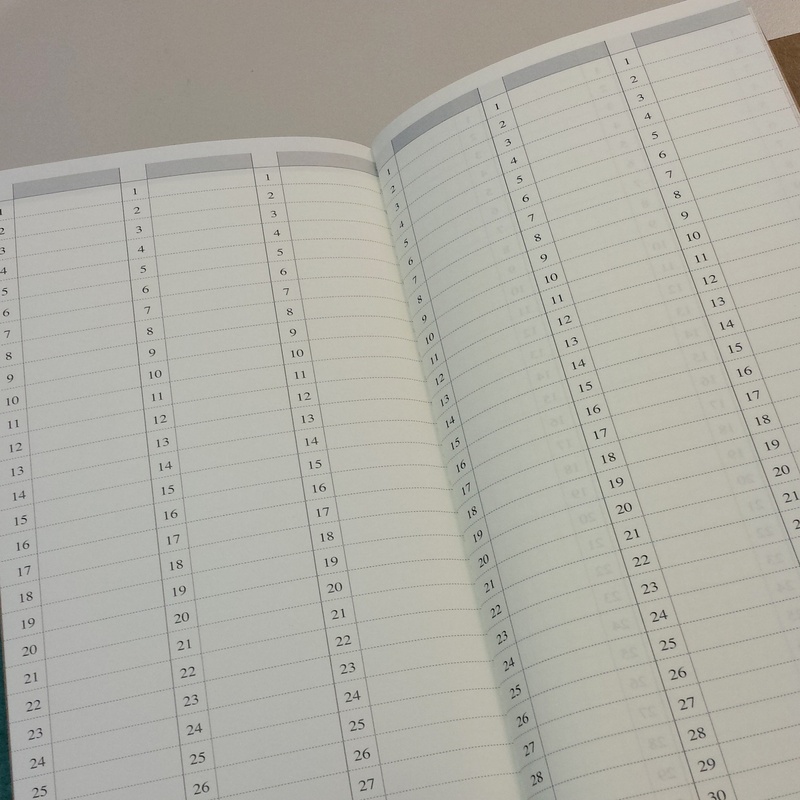 The notebook also has a section with blank vertical columns for 12 months. 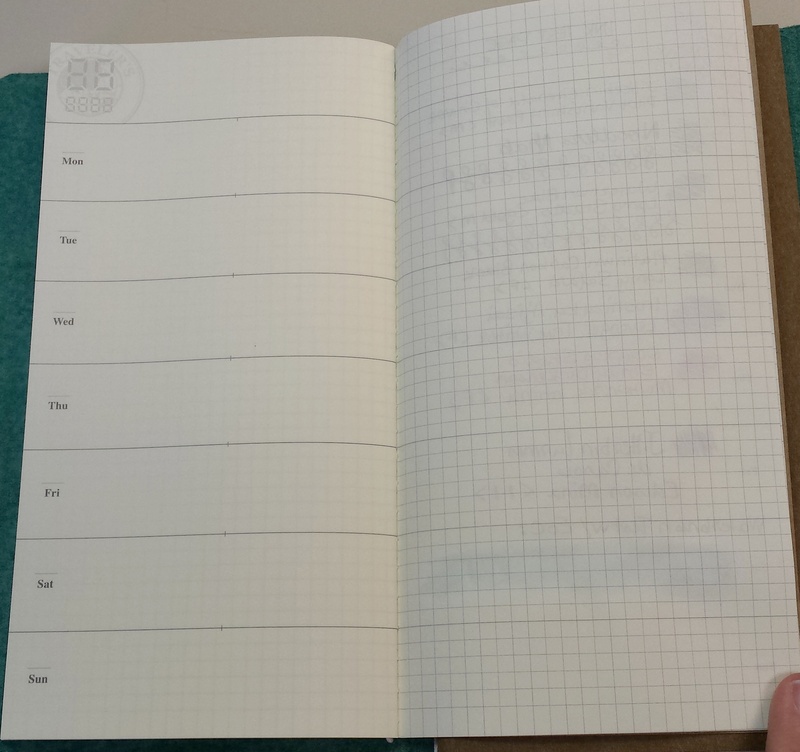 I really like that the weekly planner notebook has a monthly column section. I always fill out the holidays I get the day off for first! BUT …. really missed having the day of the week at a glance with my monthly dates. So wrote them in with a lighter gray Staedtler Triplus Fineliner. 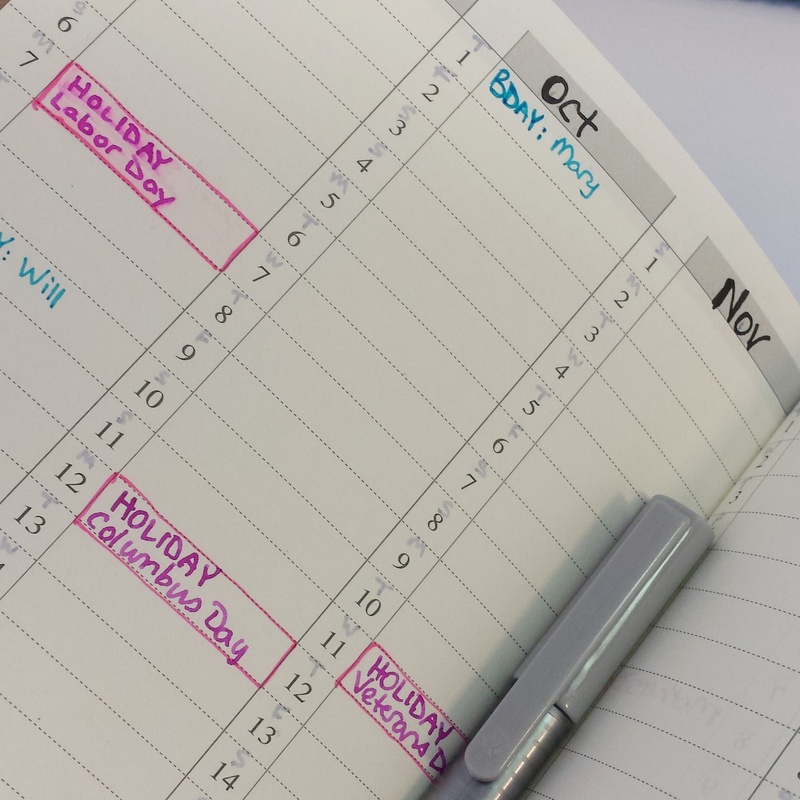 I started to highlight my holidays too, and then decided against it when it smeared my FP ink. Thank goodness for Frixion highlighters! The next big thing to test was the paper quality when using fountain pens. 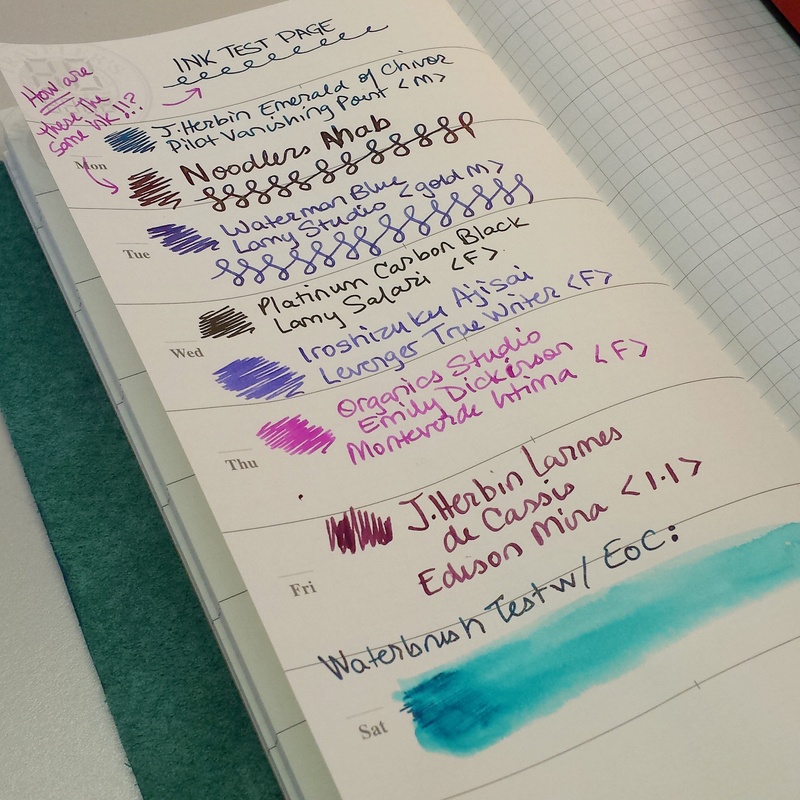 Here’s my ink test from my currently inked pens. And finally a test with a waterbrush (had to use my stapler to hold the notebook down haha). The paper takes fountain pens surprisingly well. No feathering observed, and some nice red sheen evident with J. Herbin Emerald of Chivor. The paper got a little ripply with the waterbrush, but otherwise behaved better than I expected. The back of the same page. LOOK! While there is ghosting of the writing on the other page, there is no bleedthrough, even on the heavy flex nibbed Ahab! The waterbrush barely made an impact on the backside. 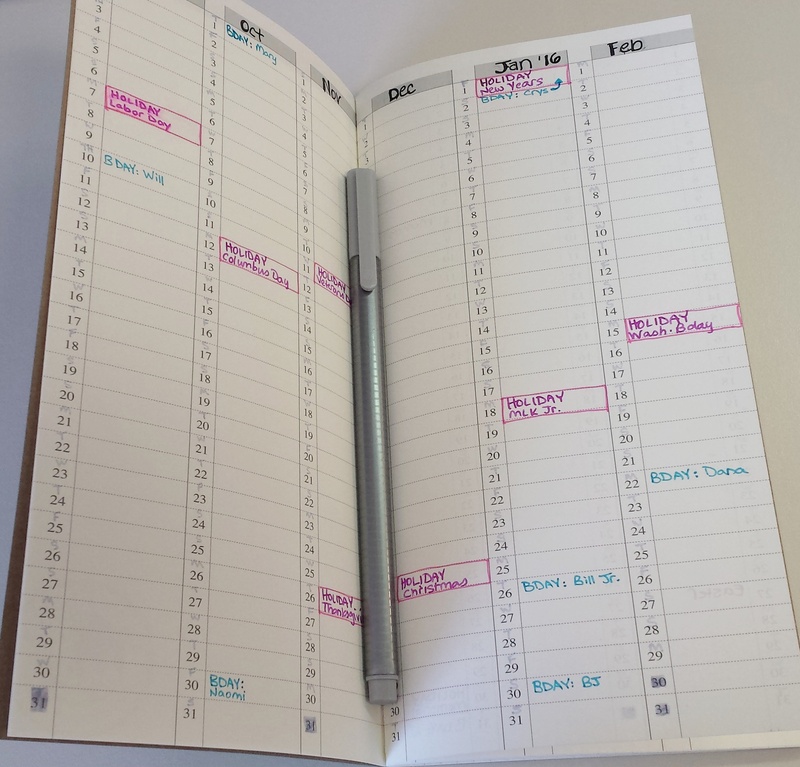 All in all, I’m really impressed with the paper and layout of this weekly agenda and am excited to use it more.